Monolithic integration of efficient III–V light-emitting sources on planar on-axis Si (001) has been recognized as an enabling technology for realizing Si-based photonic integrated circuits (PICs). The field of microdisk lasers employing quantum dot (QD) materials is gaining significant momentum because it allows massive-scalable, streamlined fabrication of Si-based PICs to be made cost effectively. Here, we present InAs/GaAs QD microdisk lasers monolithically grown on on-axis Si (001) substrate with an ultra-low lasing threshold at room temperature under continuous-wave optical pumping. The lasing characteristics of microdisk lasers with small diameter (D) around 2 μm and sub-wavelength scale (D∼1.1 μm) are demonstrated, with a lasing threshold as low as ∼3 μW. The promising lasing characteristics of the microdisk lasers with ultra-low power consumption and small footprint represent a major advance towards large-scale, low-cost integration of laser sources on the Si platform. M. Asghari and A. V. Krishnamoorthy, “Silicon photonics: energy-efficient communication,” Nat. Photonics 5, 268–270 (2011). A. Rickman, “The commercialization of silicon photonics,” Nat. 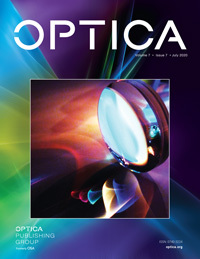 Photonics 8, 579–582 (2014). D. Thomson, A. Zilkie, J. E. Bowers, T. Komljenovic, G. T. Reed, L. Vivien, D. Marrismorini, E. Cassan, L. Virot, and J. M. Fédéli, “Roadmap on silicon photonics,” J. Opt. 18, 073003 (2016). Z. Wang, K. Van Gasse, V. Moskalenko, S. Latkowski, E. Bente, B. Kuyken, and G. Roelkens, “A III-V-on-Si ultra-dense comb laser,” Light: Sci. Appl. 6, e16260 (2017). A. W. Fang, H. Park, O. Cohen, R. Jones, M. J. Paniccia, and J. E. Bowers, “Electrically pumped hybrid AlGaInAs-silicon evanescent laser,” Opt. Express 14, 9203–9210 (2006). R. Chen, K. W. Ng, W. S. Ko, D. Parekh, F. Lu, T.-T. D. Tran, K. Li, and C. Chang-Hasnain, “Nanophotonic integrated circuits from nanoresonators grown on silicon,” Nat. Commun. 5, 4325 (2014). H. Kroemer, K. J. Polasko, and S. C. Wright, “On the (110) orientation as the preferred orientation for the molecular beam epitaxial growth of GaAs on Ge, GaP on Si, and similar zincblende-on-diamond systems,” Appl. Phys. Lett. 36, 763–765 (1980). H. Kroemer, “Polar-on-nonpolar epitaxy,” J. Cryst. Growth 81, 193–204 (1987). M. Tang, S. Chen, J. Wu, Q. Jiang, K. Kennedy, P. Jurczak, M. Liao, R. Beanland, A. Seeds, and H. Liu, “Optimizations of defect filter layers for 1.3-μm InAs/GaAs quantum-dot lasers monolithically grown on Si substrates,” IEEE J. Sel. Top. Quantum Electron. 22, 1900207 (2016). D. Jung, P. G. Callahan, B. Shin, K. Mukherjee, A. C. Gossard, and J. E. Bowers, “Low threading dislocation density GaAs growth on on-axis GaP/Si (001),” J. Appl. Phys. 122, 225703 (2017). Z. Mi, P. Bhattacharya, J. Yang, and K. Pipe, “Room temperature self-organised In0.5Ga0.5As quantum dot laser on silicon,” Electron. Lett. 41, 742–744 (2005). J.-R. Reboul, L. Cerutti, J.-B. Rodriguez, P. Grech, and E. Tournié, “Continuous-wave operation above room temperature of GaSb-based laser diodes grown on Si,” Appl. Phys. Lett. 99, 121113 (2011). M. Tang, S. Chen, J. Wu, Q. Jiang, V. G. Dorogan, M. Benamara, Y. I. Mazur, G. J. Salamo, A. Seeds, and H. Liu, “1.3-μm InAs/GaAs quantum-dot lasers monolithically grown on Si substrates using InAlAs/GaAs dislocation filter layers,” Opt. Express 22, 11528–11535 (2014). S. Chen, W. Li, J. Wu, Q. Jiang, M. Tang, S. Shutts, S. N. Elliott, A. Sobiesierski, A. J. Seeds, I. Ross, P. M. Smowton, and H. Liu, “Electrically pumped continuous-wave III-V quantum dot lasers on silicon,” Nat. Photonics 10, 307–311 (2016). Y. Wang, S. Chen, Y. Yu, L. Zhou, L. Liu, C. Yang, M. Liao, M. Tang, Z. Liu, J. Wu, W. Li, I. Rose, A. J. Seeds, H. Liu, and S. Yu, “Monolithic quantum-dot distributed feedback laser array on silicon,” Optica 5, 528–533 (2018). Z. Wang, B. Tian, M. Pantouvaki, W. Guo, P. Absil, J. Van Campenhout, C. Merckling, and D. Van Thourhout, “Room-temperature InP distributed feedback laser array directly grown on silicon,” Nat. Photonics 9, 837–842 (2015). Y. Wan, Q. Li, Y. Geng, B. Shi, and K. M. Lau, “InAs/GaAs quantum dots on GaAs-on-V-grooved-Si substrate with high optical quality in the 1.3 μm band,” Appl. Phys. Lett. 107, 081106 (2015). B. Tian, Z. Wang, M. Pantouvaki, P. Absil, J. Van Campenhout, C. Merckling, and D. Van Thourhout, “Room temperature O-band DFB laser array directly grown on (001) silicon,” Nano Lett. 17, 559–564 (2016). Y. Wan, Q. Li, A. Y. Liu, W. W. Chow, A. C. Gossard, J. E. Bowers, E. L. Hu, and K. M. Lau, “Sub-wavelength InAs quantum dot micro-disk lasers epitaxially grown on exact Si (001) substrates,” Appl. Phys. Lett. 108, 221101 (2016). Q. Li, Y. Wan, A. Y. Liu, A. C. Gossard, J. E. Bowers, E. L. Hu, and K. M. Lau, “1.3-μm InAs quantum-dot micro-disk lasers on V-groove patterned and unpatterned (001) silicon,” Opt. Express 24, 21038–21045(2016). Y. Wan, Q. Li, A. Y. Liu, A. C. Gossard, J. E. Bowers, E. L. Hu, and K. M. Lau, “Temperature characteristics of epitaxially grown InAs quantum dot micro-disk lasers on silicon for on-chip light sources,” Appl. Phys. Lett. 109, 011104 (2016). J. Norman, M. J. Kennedy, J. Selvidge, Q. Li, Y. Wan, A. Y. Liu, P. G. Callahan, M. P. Echlin, T. M. Pollock, K. M. Lau, A. C. Gossard, and J. E. Bowers, “Electrically pumped continuous wave quantum dot lasers epitaxially grown on patterned, on-axis (001) Si,” Opt. Express 25, 3927–3934 (2017). Y. Shi, Z. Wang, J. Van Campenhout, M. Pantouvaki, W. Guo, B. Kunert, and D. Van Thourhout, “Optical pumped InGaAs/GaAs nano-ridge laser epitaxially grown on a standard 300-mm Si wafer,” Optica 4, 1468–1473 (2017). Y. Han, W. K. Ng, C. Ma, Q. Li, S. Zhu, C. C. Chan, K. W. Ng, S. Lennon, R. A. Taylor, K. S. Wong, and K. M. Lau, “Room temperature InP/InGaAs nano-ridge lasers grown on Si and emitting at telecom bands,” Optica 5, 918–923 (2018). H. Liu, T. Wang, Q. Jiang, R. Hogg, F. Tutu, F. Pozzi, and A. Seeds, “Long-wavelength InAs/GaAs quantum-dot laser diode monolithically grown on Ge substrate,” Nat. Photonics 5, 416–419 (2011). A. Lee, Q. Jiang, M. Tang, A. Seeds, and H. Liu, “Continuous-wave InAs/GaAs quantum-dot laser diodes monolithically grown on Si substrate with low threshold current densities,” Opt. Express 20, 22181–22187 (2012). A. D. Lee, Q. Jiang, M. Tang, Y. Zhang, A. J. Seeds, and H. Liu, “InAs/GaAs quantum-dot lasers monolithically grown on Si, Ge, and Ge-on-Si substrates,” IEEE J. Sel. Top. Quantum Electron. 19, 1901107(2013). N. Kryzhanovskaya, E. Moiseev, Y. S. Polubavkina, M. Maximov, M. Kulagina, S. Troshkov, Y. M. Zadiranov, A. Lipovskii, N. Baidus, A. Dubinov, Z. Krasilnik, A. Novikov, D. Pavlov, A. Rykov, A. Sushkov, D. Yurasov, and A. Zhukov, “Electrically pumped InGaAs/GaAs quantum well microdisk lasers directly grown on Si (100) with Ge/GaAs buffer,” Opt. Express 25, 16754–16760 (2017). V. Y. Aleshkin, N. Baidus, A. Dubinov, A. Fefelov, Z. Krasilnik, K. Kudryavtsev, S. Nekorkin, A. Novikov, D. Pavlov, I. Samartsev, E. Skorokhodov, M. Shaleev, A. Sushkov, A. Yablonskiy, P. Yunin, and D. Yurasov, “Monolithically integrated InGaAs/GaAs/AlGaAs quantum well laser grown by MOCVD on exact Ge/Si (001) substrate,” Appl. Phys. Lett. 109, 061111 (2016). D. Jung, J. Norman, M. J. Kennedy, C. Shang, B. Shin, Y. Wan, A. C. Gossard, and J. E. Bowers, “High efficiency low threshold current 1.3 μm InAs quantum dot lasers on on-axis (001) GaP/Si,” Appl. Phys. Lett. 111, 122107 (2017). A. Y. Liu, J. Peters, X. Huang, D. Jung, J. Norman, M. L. Lee, A. C. Gossard, and J. E. Bowers, “Electrically pumped continuous-wave 1.3 μm quantum-dot lasers epitaxially grown on on-axis (001) GaP/Si,” Opt. Lett. 42, 338–341 (2017). S. Chen, M. Liao, M. Tang, J. Wu, M. Martin, T. Baron, A. Seeds, and H. Liu, “Electrically pumped continuous wave 1.3 μm InAs/GaAs quantum dot lasers monolithically grown on on-axis Si (001) substrates,” Opt. Express 25, 4632–4639 (2017). N. Lindenmann, G. Balthasar, D. Hillerkuss, R. Schmogrow, M. Jordan, J. Leuthold, W. Freude, and C. Koos, “Photonic wire bonding: a novel concept for chip-scale interconnects,” Opt. Express 20, 17667–17677 (2012). G. Roelkens, D. Van Thourhout, and R. Baets, “High efficiency grating coupler between silicon-on-insulator waveguides and perfectly vertical optical fibers,” Opt. Lett. 32, 1495–1497 (2007). J. E. Bowers, J. T. Bovington, A. Y. Liu, and A. C. Gossard, “A path to 300 mm hybrid silicon photonic integrated circuits,” in Optical Fiber Communications Conference and Exhibition (OFC) (IEEE, 2014), pp. 1–3. Z. Wang, C. Junesand, W. Metaferia, C. Hu, L. Wosinski, and S. Lourdudoss, “III-Vs on Si for photonic applications—a monolithic approach,” Mater. Sci. Eng. B 177, 1551–1557 (2012). Y. Wan, Q. Li, A. Y. Liu, A. C. Gossard, J. E. Bowers, E. L. Hu, and K. M. Lau, “Optically pumped 1.3 μm room temperature InAs quantum-dot micro-disk lasers directly grown on (001) silicon,” Opt. Lett. 41, 1664–1667 (2016). B. Shi, S. Zhu, Q. Li, Y. Wan, E. L. Hu, and K. M. Lau, “Continuous-wave optically pumped 1.55 μm InAs/InAlGaAs quantum dot microdisk lasers epitaxially grown on silicon,” ACS Photon. 4, 204–210 (2017). B. Shi, S. Zhu, Q. Li, C. W. Tang, Y. Wan, E. L. Hu, and K. M. Lau, “1.55 μm room-temperature lasing from subwavelength quantum-dot microdisks directly grown on (001) Si,” Appl. Phys. Lett. 110, 121109 (2017). R. Alcotte, M. Martin, J. Moeyaert, R. Cipro, S. David, F. Bassani, F. Ducroquet, Y. Bogumilowicz, E. Sanchez, and Z. Ye, “Epitaxial growth of antiphase boundary free GaAs layer on 300 mm Si (001) substrate by metalorganic chemical vapour deposition with high mobility,” APL Mater. 4, 083514 (2016). H. Cao, J. Y. Xu, W. H. Xiang, Y. Ma, S. H. Chang, S. T. Ho, and G. S. Solomon, “Optically pumped InAs quantum dot microdisk lasers,” Appl. Phys. Lett. 76, 3519–3521 (2000). S. Zhu, B. Shi, Y. Wan, E. L. Hu, and K. M. Lau, “1.55 μm band low-threshold, continuous-wave lasing from InAs/InAlGaAs quantum dot microdisks,” Opt. Lett. 42, 679–682 (2017). A. Zhukov, A. Kovsh, N. Maleev, S. Mikhrin, V. Ustinov, A. Tsatsul’nikov, M. Maximov, B. Volovik, D. Bedarev, Y. M. Shernyakov, P. S. Kop’ev, Z. I. Alferov, N. N. Ledenntsov, and D. Bimberg, “Long-wavelength lasing from multiply stacked InAs/InGaAs quantum dots on GaAs substrates,” Appl. Phys. Lett. 75, 1926–1928 (1999). Fig. 1. (a) TEM image of the QD structure grown on on-axis Si (001) substrate. (b) Schematic illustration of the epitaxial structure of the active region. (c), (d) High-resolution TEM images of the three stacked InAs QD layers and a single QD, respectively. (e) Atomic distribution profile of In obtained by XPS. (f) AFM image of uncapped InAs/GaAs QDs grown on Si (001) substrate. (g) Room-temperature PL spectra of the as-grown structure at various input powers. Fig. 2. (a) Schematic diagram of a microdisk laser grown on planar on-axis Si (001) substrate. (b) SEM image of a fabricated microdisk laser. (c) Collected PL spectra below and above the lasing threshold of a microdisk with D∼1.9 μm. (d) Corresponding collected intensity and mode linewidth as a function of input power for the emission peak at 1263 nm. The lasing threshold is ∼2.6±0.4 μW. (e) Collected spectra above the threshold (4.4 μW) and curve fitting showing the spontaneous emission background and cavity emission. (f) Measured lasing wavelength under various incident pump powers. Fig. 3. (a) Measured lasing spectra of the microdisk laser with D∼2 μm under various pump powers. Lasing emissions from both ground state and excited states are observed. (b) L-L curve of the emission peaks at 1240 nm (first excited state) and 1317 nm (ground state), respectively. Fig. 4. (a) Measured lasing spectra of the microdisk laser with D∼1.1 μm and ∼1.4 μm. The inset SEM image shows the fabricated sub-wavelength scale microdisk laser. (b) L-L curve and FWHM of lasing peak ∼1189 nm of the sub-wavelength scale microdisk laser with D∼1.1 μm, showing the lasing threshold of ∼2.9±0.4 μW. (c), (d) Calculated cross section and top view of the magnetic field profiles for the TE1,6 mode, respectively. The green line represents the boundary of the microdisk, and the blue dashed line demonstrates the central plane of the microdisk. Fig. 5. (a) Thresholds of microdisk lasers with various D. The lasing threshold was derived from the L-L curve of the main lasing peak, and all measured data came from a single microdisk laser.